Delightfully engaging and unassumingly comic, Meredith Axelrod envisions the limitless potential of early twentieth century music, whether it be Ragtime, Music Hall, Pop Standard, Boogie Woogie, Tin Pan Alley, String band, Jazz, Country, Blues or even Jug Band music, and embodies the spirit that brought the music into existence in the first place. Her vocal style is unusual, probably because she learned to sing by listening to how folks did it a century ago – through the medium of cylinders and 78-rpm records. The dominant theme throughout her expansive repertoire, is that, whatever the genre, these are songs she learns from the original sources (records and / or sheet music) which were released between the 1890s and the 1930s. Part of the allure of old time music, indeed any music throughout the history of recorded music, is hearing the original recordings as played and sung by the original performers in their heyday, loving what they’re doing and doing it because it means something to them in that moment, never because of nostalgia, and Meredith brings the same unbridled passion, earnest devotion and candid vitality to all of her music; she has found possibility and joy in the treasures of cultural folklore. Axelrod demonstratively loves the life she leads, thriving in varied musical and performance settings. 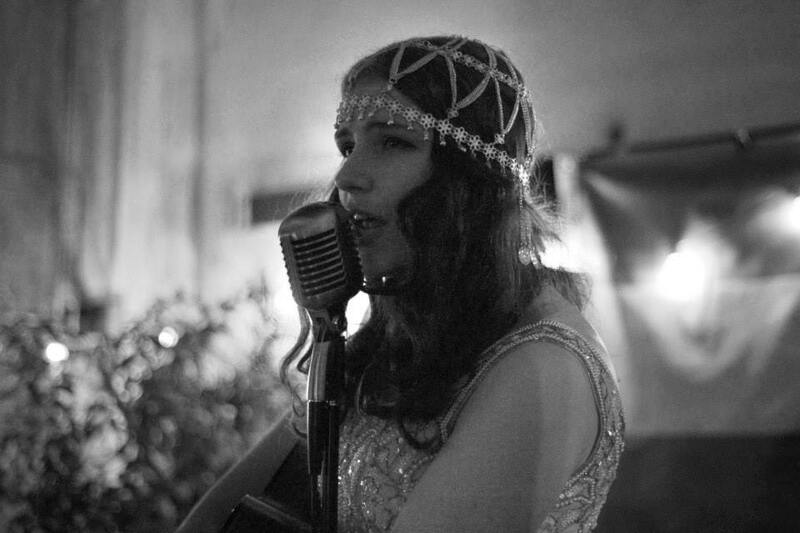 She often partners with string virtuoso Craig Ventresco; they perform at venues and festivals that include the San Francisco Silent Film Festival, West Coast Ragtime Festival and Blind Boone Early Jazz Festival. 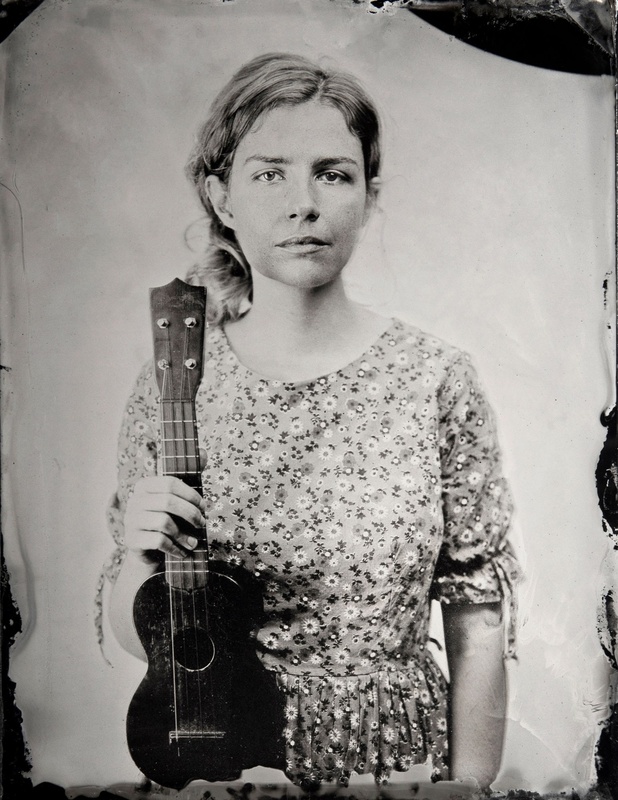 In addition to playing solo shows, Meredith appears in myriad cooperatives: with her own hot jazz band, her own string band, in partnership with solo act dynamo Frank Fairfield, and often with the 60s Folk / Jug Band legend, Jim Kweskin…. She has also performed with Dan Hicks, Maria Muldaur, Geoff Muldaur, Ramblin’ Jack Eliot, David Grisman, Cindy Cashdollar, Bill Keith, Terry Zwigoff, Sonny Leyland, Robert Crumb, and the Cheap Suit Serenaders at favorite venues: The Great American Music Hall, the Museum of Jurassic Technology, Freight and Salvage, and recently at Symphony Space in Manhattan. She has toured domestically and internationally. Meredith, you are, without doubt, a treasure! You’re amazing! I heard you about a week ago at Cafe Divine and was in awe of your voice! Unfortunately I was in a hurry and there for take out, so I didn’t get to stay and enjoy. Tonight I randomly brought out of town friends to Cafe Divine for dinner and was telling them about the singer I’d heard with the haunting voice…and there you appeared! We thoroughly enjoyed the unexpected pleasure of your performance! Please start selling your CDs online — that won’t lessen your live audience, but it will help your fans spread the word! I saw you perform at the Freight and Salvage tonight. Your voice and smile are so honest and positive. I felt so uplifted after hearing you. Thank you for your performance. ..What a truly wonderful show you two put on last night at Boulevard Music in Culver City. You are my hero! I feel I’ve finally met the perfect woman,, and if you weren’t already in a relationship I would be stalking you as fast as an arthritic hip would allow. Please come back to Southern Cal soon.. although I know you residents of the bay area look upon us the way the residents of Beverly Hills look upon Tijuana. None the less a great many of us would be delighted to see you again, oh woman of my dreams.. Thanks, Dexter. I love L.A! Goodness gracious. I don’t cast any such aspersions. I come back as often as I can; I’ll try to make it there in January. Saw you at the Freight and Salvage last night for the first time … what a treat … I’m still smiling this morning. Can’t wait to load your cd onto my ipod and hear more of your songs! Oh, thank you for getting my CD! I hope you like the music. I heard you play in Lyttelton at the Harbourlight, and dang me I should bought and bought, if not your guitar, then certainly your CDs. The Harbourlight is no longer standing, alas, due to the earthquake, but the memory of all that, they can’t take that away from me. thank you! How kind of you to comment. I hope you and yours are alright; I’m sorry to hear that that place is gone! That was a great venue. Not sure how I discovered you (perhaps through YouTube) but I’m glad I did! Very fun and talented. We saw you last night at the Sweetwater and purchased a CD. So nice to see a performer with such purity. You are so genuine. We are still talking about that great trombone thing you do with your voice/mouth!! Keep on singing…. Meredith, I discovered you and Craig, Dennis , Tom recently. I’ve played guitar, mandolin, mandocello, tenor banjo etc, etc. I love the REAL music you guys do. Do you have a website? I’m involved with the Millrace Folk Festival in Cambridge ON (Canada) We would love your kind of music. We regularly feature “Sheesham and Lotus and Son”,, and “The ever lovin Jug Band” you can find them on youtube. The millrace list of performers has already been hired for this year, will send you info soon. Millrace is the end of July and first of August Fri. nite, All day Sat. and Sun. Keep smiling. Saw you last night at Yoshi’s with Jim Kweskin and this morning your performance is resonating in our heads as we wake up. Glad you’re from San Francisco. We’ll find you so we can here more. Thank you, thank you. Find me! Hi Meredith, heard you from a radio broadcast I heard of you and Jim Kweskin ( a long-time fav of mine). You are AMAZING! I live near Rochester NY (saw Jim & Geoff Muldaur last fall) Any chance you will be playing anywhere in the east? I’m buying your records tonight! Thanks! Well, I’m playing at Barbes in Brooklyn on April 9 2018, as a matter of fact. That’s great! I’m marking it on my calendar. Thanks for the info and for all the great music. You are so kind! Well, I played at the Brooklyn Folk Festival in April, which is bygone, but I have a show December 13 at Symphony Space. Good Morning Meredith, I finally loaded your CD and listened intently from start to finish. Beautiful music, thank you. At the recent Parkfield, CA Féile, you were, in my opinion, the star of the show. Looking forward to seeing you again at future shows. Thank you so much. Your positive feedback means a lot to me! I had tsuris around that performance. I saw you & Craig Ventresco perform ragtime about 2014 at a cafe next to Wash Sq in N Beach, SF, and I’ve read that you now are at the Blush Wine Bar. But neither their calendar nor yours list your dates. Loved ragtime and 1900-era popular music, not to mention Music Hall, Pop Standard, Tin Pan Alley, and String band. I’m looking to see you perform in or near SF.